I asked what happened. The school was having a “jog-a-thon” that day. (When I was a kid, jog-a-thon meant that you get folks to pledge so much per mile and ran your little fanny off to raise money. 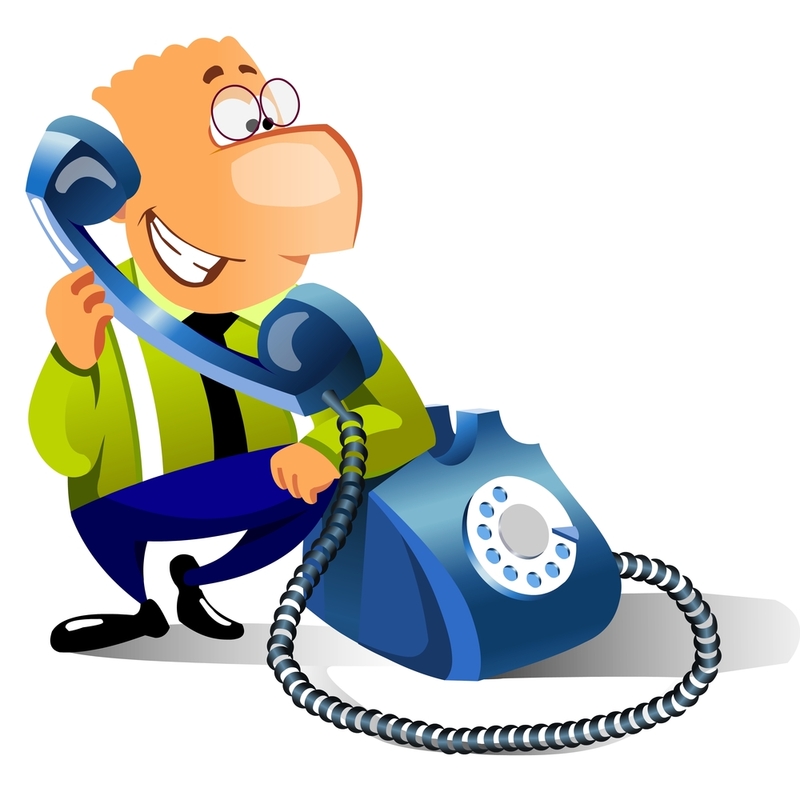 Now a days, I guess they just want a check for a flat fee and forget the jogging part.) 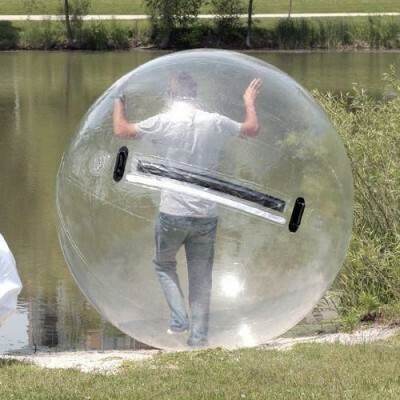 Anyway, he was in a “human hamster ball” and fell thru the opening when trying to exit. He said someone hit the ball from the other side and this effectively caused him to be ejected out of the ball and onto the ground. He tried to stop falling head first thru the opening and braced himself by using his arms to break the fall. At the time, I had a coworker in the car that I had gone to lunch with. I hurried back to the office and then dropped off the coworker, told my boss I was out for the rest of the day, handed all my unfinished work to my boss for distribution, activated the out of office message, and made haste to pick up my son. I drove swiftly (up to 80 mph) to his school and met him in the office. After checking on his condition, I handed the keys to an adult at the school and told them to load my son in the car. I collected his school stuff—binder, backpack, and lunch box—and then we headed to the emergency room of the local hospital. At his school office, he was given a small zip lock bag of ice and that was the only first aid that he received. As I drove to the hospital, every time we hit a bump, he would say “ouch”. I walked him in the front door of the hospital and checked him into emergency. I then parked the car and waited for his name to be called. Just after his mom walked into the hospital, his name was called. Our next challenge was to get him out of his sweatshirt so he could have his blood pressure taken. When his sweatshirt was finally removed, there was no doubt that the arm was broken. Up until that point, no adults, other than me, seemed to believe the word of a twelve year old—even when other children confirmed that they heard the bones crack when he fell. Once my son’s blood pressure and temperature were taken, we were escorted to a treatment room. About two hours after the arm was broken, my son was finally given some pain killer to take the edge off of his discomfort. It was a low dose of morphine give thru an IV in the top of his hand. Getting the IV put in seemed to be more painful than breaking both bones in his forearm. 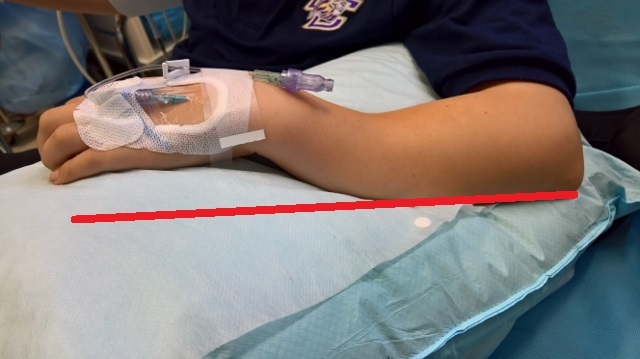 Broken Arm—Line shows where arm should be when resting. After three sets of x-rays, setting both broken bones twice, and a temporary cast, we finally started heading to the exit after 7 pm. The first stop was the pharmacy for pain meds and then home for dinner. The following Wednesday, the temporary cast was removed and a more permanent one was put on. This evolution was a primitive one and did not go as advertised. For some reason, the hospital did not have the equipment to hold my son’s arm stationary and made him use the fingers on his broken arm to grip a metal frame when the cast was assembled on his arm. Then when they got to the plaster part, the doctor squeezed his arm—right at the point of the fractures—for about two minutes so that the plaster could set. Then they took an x-ray (the fourth ones so far) and sent us on our way until next week’s visit. As I watched this unfold over the last week, I was reminded of DeForest Kelly who played Doctor McCoy in the original Star Trek movies cursing the 20th Century doctors for being a bunch of barbarians for their primitive methods. So far the 21st Century docs aren’t much better.